Our story begins in 1996 when passionate financial planning graduate, Sam Wallis-Smith, founded his own business from the ground up. Initially, Sam worked on all areas of the business, helping clients with everything from personal insurance and investment, through to estate planning and business structures. But it wasn’t long before Sam found himself more and more drawn toward his greatest area of interest: retirement planning. In 2007, Sam invited his wife, Victoria, to join Wallis-Smith Financial Planning to lead a system and process improvement project, to deliver professional standards and consistent outcomes for Wallis-Smith Financial Planning clients. A testament to Victoria’s strong background in engineering project management, Victoria became a key driver in transforming Wallis-Smith Financial Planning to a full service, professional financial planning practice. Victoria’s addition to Wallis-Smith Financial Planning was a major turning point. 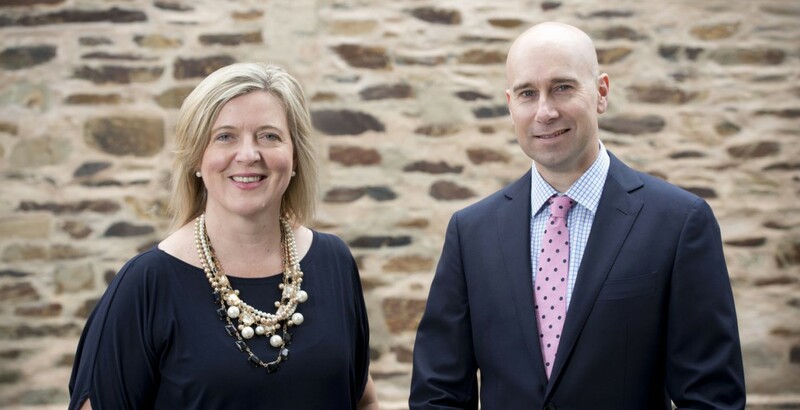 Suddenly it was crystal clear that the greatest resource Wallis-Smith Financial Planning could offer clients was the passion and specialised skills of its people – and with this single-minded proposition, Sam and Victoria set about bringing together the team they have today. A personable and caring nature was the yardstick for the perfect Wallis-Smith Financial Planning team. Sam and Victoria wanted people with an innate ability to genuinely care about their clients and the service they delivered. So they thought back to the people they had worked with over the years, and went about bringing the cream of the crop together to create the team you see today. Wallis-Smith Financial is immensely proud of their entire team, the results they deliver and the wonderful relationships they build with clients. Trust and care are the cornerstones of this business. The Wallis-Smith Financial Planning team genuinely cares about helping clients achieve what’s important to them – and like all good stories, help them to live happily ever after.